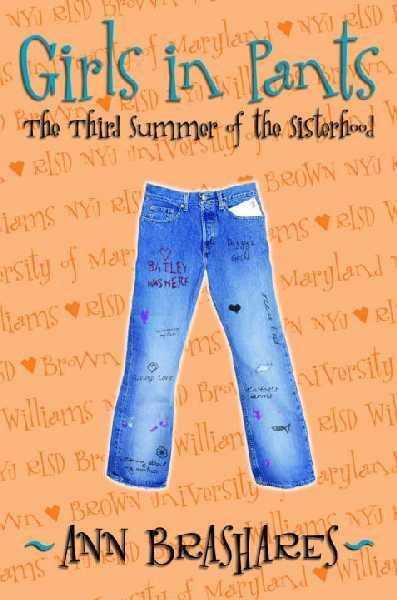 “The Sisterhood of the Traveling Pants” series is one of the best I’ve ever read, and my favorite is the third book: Girls in Pants. Ann Brashares has some really wonderful insights into female friendships. Her books regularly bring me to tears, and always leave me feeling inspired. The third book marks a season of change for the characters, moving from high school into college, and it has always resonated with me because it depicts each girl working through issues in their pasts and within their families, and embracing the future— whatever it brings— with the strength of their friends beside them. As a teen, I read the entire series every summer. I was shocked to find that a fifth book in the series had been published a few years ago, set when the girls are in their late twenties— it obviously has a different feel from the first four but is still fantastic. If you haven’t gotten around to picking up this series before, now is a great time! I’m not much of a re-reader but I cannot get enough of Maggie Stiefvater’s series, The Raven Cycle. I read the first book, “The Raven Boys,” in 2012, read it again last year to prepare for the sequel, and just finished listening to the audio book version. I notice new things every time I read it! The third book, “Blue Lily, Lily Blue” comes out in October – I cannot wait.